There is a cliche in the Indian Startup fraternity. In most Conferences and Meet Ups the Keynote speeches urge Indian Startups to solve the problems in the domestic market (Indian Market), but inside closed room the same Indian Startups are advised to solve problems for the International market – because the valuations / exits for Products focussed on Indian Market is non existent. ADDA has been working towards building a product and eco system for the Indian domestic market – Apartment Complexes and Villa Communities – providing a Management and Accounting Solution for smooth functioning of the Association / Society Office. 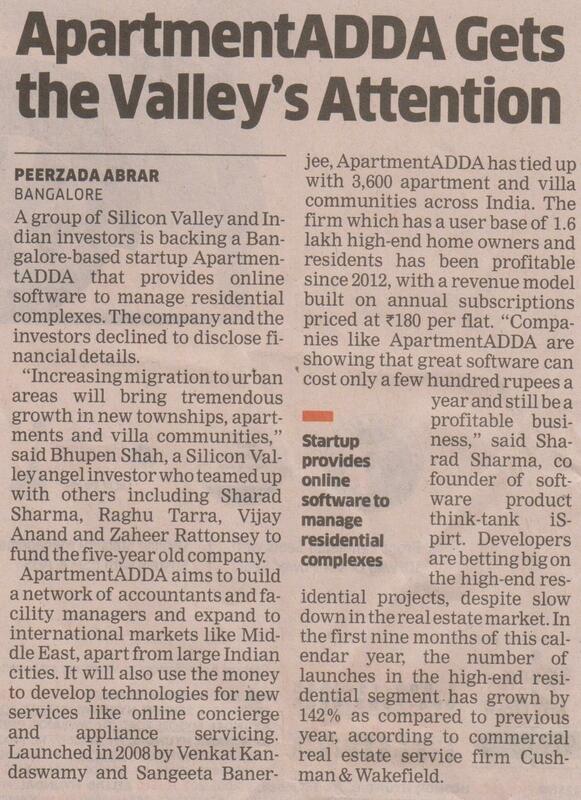 We were lucky to find Investors who believed in ADDA and the potential for growth in Indian Market. The ADDA Investor syndicate includes Bhupen Shah & Raghu Tarra of Sling Media, Sharad Sharma of Yahoo R&D , Nasscom products & iSpirt, Tushar Patel of a Global Investment Banking firm and Zaheer Rattonsey of Real Estate & Film Production. We are thankful to you – our customers – who believed in us and helped us shape the product and reach the current Orbit. And we are thankful to our Advisor Manish Singhal, who was just the right Coach for us through the Fund Raise effort. Now with the new fund infusion – we will be able to provide better experience for you on ADDA, stronger support, bring your entire ADDA to mobile, have physical presence in all the major cities, work with Government agencies, conduct more of our workshops, build a stronger ecosystem of facility management experts and accountants – we have a long list! Together we shall Rise High! 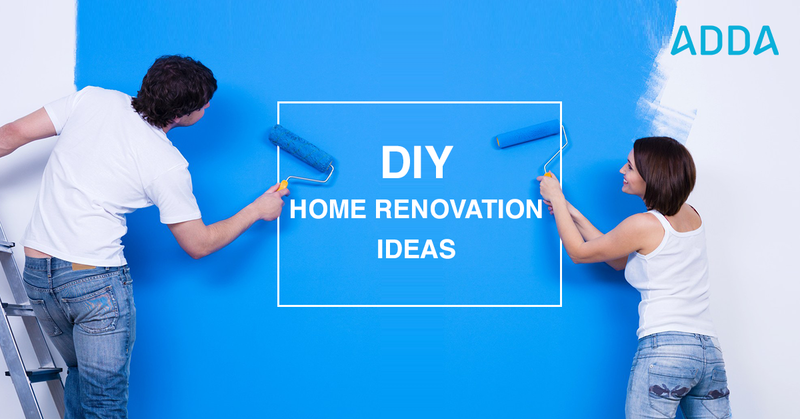 -Venkat Kandaswamy, Co-Founder, on behalf of Team ADDA.